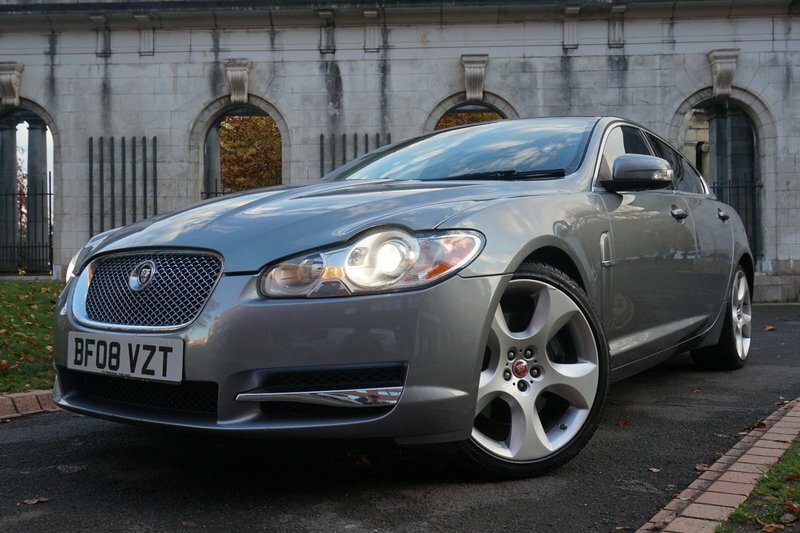 Astonishing two former owner Jaguar XF SV8 powered by a V8 Supercharged engine producing an immense BHP of 410. Features with SAT NAV, Heated and Cooling Elec/Mem Seats, SUNROOF, 20" Alloys, Blind Spot Sensor, Electric Steering Column, Comfort Access, Keyless Engine Start, Parking Sensors F&R. 5 services including 3 Jaguar dealer and 1 from Jaguar specialist. Last serviced on 24/01/18 at 67835 miles. NEW MOT TO BE PUT ON IN NOV 18! One key only. 3 Month Warranty (can be extended to 24 months), Low rate Finance package available! PX Welcome! 12 Month AA Break Down Cover! We are open Sundays too! Please call to arrange an appointment! No admin fees or any additional costs at point of purchase.